There’s a school of thought out there which tells us that the Non-Directional Beacon and it’s cockpit counterpart, the ADF, are things of the past with nothing to offer today’s pilot. With all due respect, this is demonstrably false. I still teach instrument flying and find that while NDBs are becoming rare, the bearing pointer skills used to fly them are extraordinarily useful, both as a mental exercise and in practical 21st century IFR operation. Too many instructors, seeing NDBs largely decommissioned in the United States, have stopped teaching the associated bearing pointer lessons — a big mistake in my opinion. I’ve even gone so far as to design NDB-like approaches off of little-used VORs just to provide a way for students to master them. 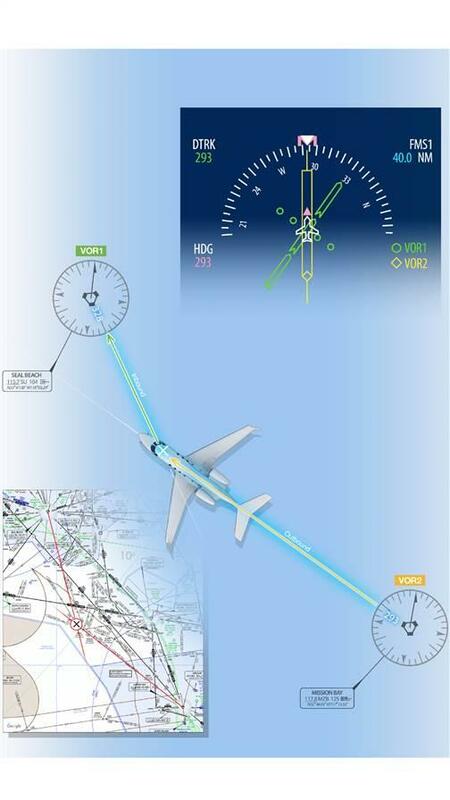 Whether the navigation source is an NDB, VOR, or GPS waypoint is unimportant. It’s the skillset which matters. While it’s true that the number of operational non-directional beacons is declining domestically, there are plenty of places around the world where they’re alive and well. With GPS overlays, there’s often little reason to keep the ADF equipment around. But remember, modern glass airplanes have only a single HSI in front of the pilot, and the avionics industry has replaced what was, in the analog panel days, a second CDI with… the bearing pointer. The navigation source may be different (usually GPS or VOR), but the aptitude required to track a bearing pointer in or out-bound are still the same as they were with the NDB. I’ve seen what happens when that competence is never developed. It ain’t pretty. Between satellites, inertial reference systems, VORs, and ATC radar, you’d think there would be no need for tracking any kind of pointer these days, but every now and then I do get clearances which cannot be properly flown without the use of a bearing pointer. They typically contain instructions to fly to a fix and then outbound on such-and-such a radial and then intercept some airway. When that radial is not overlaid by a published course, how do you fly it while still maintaining an awareness of the airway you’re to intercept next? Pilots occasionally receive clearances with routes that are not defined by an airway or other published course, and some FMS or GPS units make it difficult, if not impossible, to program them. This is but one example of a bearing pointer’s usefulness, even in the twenty-first-century world of glass panels. I received just such a clearance the other day, actually: the Tower Enroute Control (TEC) routing from San Diego Lindbergh to Van Nuys. It calls for flying the Mission Bay VOR 293 degree radial outbound to intercept the Seal Beach 148 degree radial inbound. Since neither of those is a published airway, it will not appear in a navigation database. I’ve seen long time professionals with thousands of hours of jet time flummoxed by this problem. They’ll try to set up a place-bearing-distance waypoint, but without plotting (when’s the last time you did that? ), how would you know where the two radials meet? Other solutions I’ve seen used include some kind of lat/long user waypoint, or just flying a heading off one VOR until intercepting the inbound course from the other one. As an approximation it might suffice, but it’s way more work and far less accurate than simply using the tools your avionics suite already provides for that purpose, especially when the course line is long and/or there’s significant wind aloft. Even if your FMS or GPS has the functionality to make this easy, it’s possible for these wonderful gizmos to malfunction. When a major part of any pilot’s job is to always be able to answer the question “what if….”, then the bearing pointer’s value becomes clear. The bearing pointer is capable of providing a wide variety of information, and it’s so simple (note: I didn’t say “easy”!) once you know how to use it. When it’s not needed for anything else, I often set it to point at the airport. This provides added situational awareness so I needn’t divert my attention away from the primary flight instrument area in order to consult a separate map display. And while I’m as much a fan of moving maps as anyone, declutter and zoom settings can dramatically affect what a pilot does — and does not — see. We’ve all heard of professionals and amateurs alike landing at the wrong airport — most often out of a visual approach gone wrong due to fixation on the first piece of pavement which seems to fit the bill. I always find myself wondering if referencing a properly set bearing pointer might not have alerted them that they were off base. Sure, some modern panels can overlay a map on the HSI, but that can clutter the display quite badly, especially when traffic and other data are placed there as well. The NDB may be fading into history, at least here in the US, but the aptitude to use one? That’s still very much a part of instrument flying, and from the way glass panels have standardized their presentation, I don’t see that changing anytime soon. If it’s been a while since you last flew the bearing pointer, perhaps a refresher during your next recurrent training event would be in order. In our case we didn’t have to enlist the RMI since the display outage only lasted a few minutes and we were in positive radar contact in Anchorage so they gave us initial vectors back toward the airport but if this had occurred out of our next stop in Cordova with no radar we would have been navigating on RMI and while I’d have a little rust to knock off I’ll Never forget “heads fall and tails rise”. Yes — heads fall/tails rise is one of those mnemonics which will stay with me forever! Your experience sounds eerily similar to one I had in the Gulfstream a while back. In our case the issue ended up being a series of sticky relays under the floor which were playing havoc with the electrical system. The Gulfstream electrical system is fully automatic, so in the event of power loss, the airplane automatically selects the next best available power source without pilot intervention. It works great for a loss of power. But an intermittent relay is another story. In that event, the system keeps losing and regaining a power source, so it keeps switching back and forth. The constant power break transfers soon make the avionics unhappy. Anyway, knowing the importance of primary flight instrumentation, avionics and electrical systems are designed to preserve the PFD at all costs, which means that the bearing pointer’s placement on the PFD ensures it will be one of the last things to disappear. Yet another reason to maintain the skillset required to use one! Ron, many years ago in a type rating class I was partnered with a pilot from Mexico that was upgrading to Captain. Except they hardly let him fly the jet. He had zero idea on how to fly an ADF. The instructor was giving up on him. I was never an instructor but I asked if I could spend a little time with him in the sim. They O.K.’d it with no motion. I show him and old trick I was taught in the 60’s when I check out in a Falcon 20. On the ADF when your going to the station you PUSH the needle to the course you want and when you cross the station you PULL the needle to the course you want. He could not believe how simple that made it. He passed the course. You may have never been an official “instructor” as far as the FAA is concerned, but I’d wager you were a longtime and highly experienced teacher, examiner, and mentor to many pilots, including that fortunate Mexican aviator whose job —and perhaps career—you helped salvage. How many people would have even taken the time to walk him through the use of a bearing pointer? “Push the head; pull the tail.” How many times I have heard that in my head during nearly 40 years of flying? The voice of my instructor is with me always, even after all these years. I know that in order to convince the ignorant it is important to tie the skill of needle tracking to something practical in today’s high-tech environment–and you did it well–but there’s more reason that just that (and it’s just as important): The bedrock skills of airmanship, the art (and perhaps alchemy) of placing oneself in space and then finding one’s desired place, are built upon decades and generations of patient development. We abandon that development–that devotion to basic airmanship–and cut our ties to our past at our peril. Basic needle tracking is one of many small skills that precedes wisdom and insight. There is no shortcut to that place; we must follow the path that was beaten by those who have gone before…many of whom paid with their lives to deliver the knowledge that saves ours. I am sickened by the arrogance of “the young” (in aviation, no matter their age in calendar years) who believe that technology has eliminated the need for fundamental, elemental airmanship. We could use a little more of that in these days when so many look to their tasks thinking that the skill it takes to meet them owes nothing to the past. Well said. In the era of the moving map and magenta line, flying is so easy a caveman can do it. Until something breaks. Actually, belay that: it’s not necessary for anything to fail. I’ve personally witnessed pilots with a 10″ full color moving map directly in front of them get lost. To be fair, those were primary and instrument students. But the point is that the only “map” that really matters is the one in your head. That’s what Lucky Jack was using to bring his ship into position. It’s the same one that ensures our aircraft doesn’t go anywhere our mind hasn’t been five minutes earlier. That’s part of the skill a bearing pointer imparts. You’re right — we could use a little more of that. The TEC route is apparently designed for using two VORs, if installed, pretty basic. I’m assuming that the commercial jets don’t have them? Also could use the OBS feature on the GPS. Every turbine aircraft I’ve seen does have two VOR receivers. But most modern glass panel aircraft have a centrally displayed HSI and possibly an RMI to display the course information. Thus the need to track a bearing pointer. Ok, Ron, I will confess to being a bit confused. I would have flown the clearance you were given by flying outbound on the Mission Bay radial, dialing in the Seal Beach radial on my #2 CDI, waiting for the needle to center and then flying the radial inbound by dialing the HSI to that heading. Why is that method imprecise? Wouldn’t one do it the same way with the bearing pointer on the PFD? Please enlighten me. I understand the confusion, Mahesh. Flying the clearance as you described it would work perfectly. Many light GA airplanes are equipped with two CDIs, which makes flying the clearance fairly simple. As you noted, fly one CDI while waiting for the other one to come alive. Most business jets and airliners are equipped a little differently. They have an HSI with the ability to overlay one or two bearing pointers on the display. It’s still easy to fly the clearance as given, but it would require using bearing pointer skills that many jet pilots have not touched on in a long time. I have always thought that flying towards the head of the needle regardless of flying to or from the station, works. For example: flying to an NDB with a wind from the left would cause the head to point left, as you’re right of course. Therefore fly towards the head of the needle. When flying from the station with a wind from the left, the head of the needle, now behind you will point left, and you fly towards the head. Left again in this case until you come up with a crab angle heading to hold course. Am I missing anything….? Not a dumb question at all, Eric. As I often tell students, flying a bearing pointer is simple, but not necessarily easy — especially when wind is a factor. Every pilot’s IQ seems to drop by 10 points once the wheels leave the ground anyway, so the simpler the better! I understand what you’re getting at with “always fly toward the head of the needle”. There’s also “heads fall / tails rise”, “push the head / pull the tail”, “live on the tail”, and many other methods of basically explaining the same thing: how to track a desired course. I’d say they are all valid methods and whichever one works for you is the one you should use. 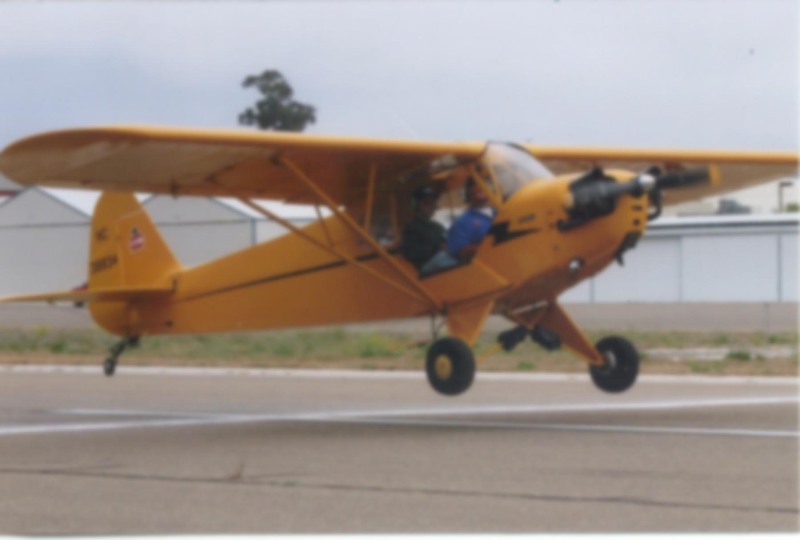 When I learned to fly instruments, that was a “final exam” task prior to being recommended for the instrument checkride. Students had to be able to proceed from any location to an arbitrary fix comprised of two VOR radials. The key was knowing basically where you were, tuning in both courses, and heading in that general direction. Whichever course came alive first was the one you’d follow until reaching the fix and holding as instructed. Even if you didn’t know where you were, it wasn’t hard to interpret the CDI information and select a heading which would eventually take you toward at least one of the desired radials. The thing I always found most challenging was when both CDIs would come alive at the same time. Sure, you knew you were on heading for a direct arrival at the fix, but it also robbed you of some of the time you’d assume would be available for setting up the hold.